HomeHome30 for 30: Can this be Jaroslav Halak’s best season? 30 for 30: Can this be Jaroslav Halak’s best season? 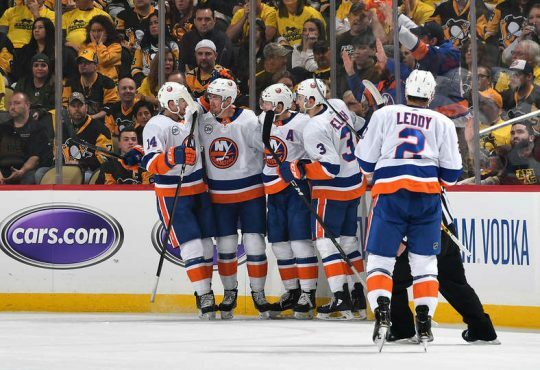 As the hockey season draws near, there are many questions that will face the 2017-18 version of the New York Islanders. 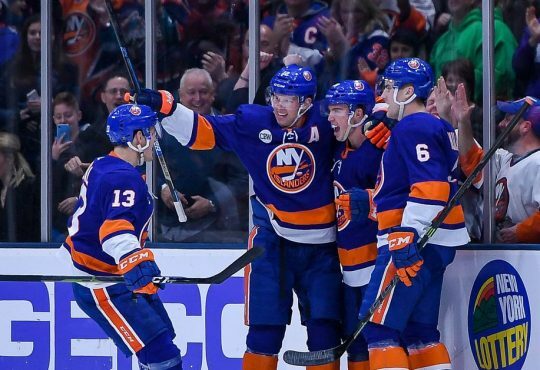 After missing the playoffs for the first time since the 2013-14 campaign, the expectations are still high for the Isles. With an entirely new coaching staff and new blood ready to make an impact, this season could be something special, or the final chapter before major changes is made. Over the next 30 days, our Rob Taub will give his thoughts on what to look for from the blue and orange this season. We are entering year number four of the marriage between the New York Islanders and goaltender Jaroslav Halak. These four years have had their ups and downs for the 32-year old from Slovakia. But Halak has gotten through it with a strong work ethic and good attitude. This season will be the last of his four-year contract, and I think for him, Halak will want to leave nothing for chance. Since arriving in New York in a trade from the Capitals in the summer of 2014, Halak has been the primary goalie that has led the Islanders back to prominence. His 2014-15 season was the best of his career where he recorded 38 wins in 59 games played. 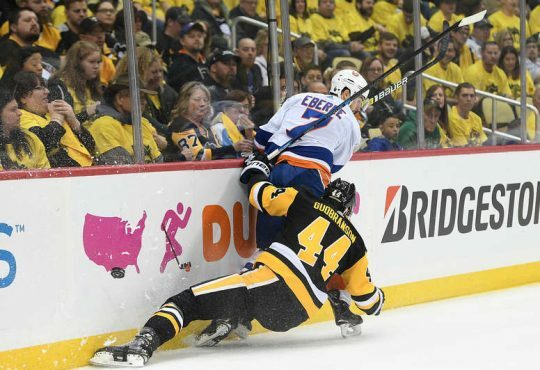 His play in the playoffs almost stole the Islanders the series against Washington. In 2015-16, Halak continued his strong play until he got hurt late in the season. The injury forced him to miss the playoffs where his fellow goalie Thomas Greiss led the team to the second round. During that season, the Islanders also implemented a three-goalie system that Halak was not to fond of. Halak gave his thoughts after the season where he was not happy. It was confirmed late in the summer that because of the goaltending saga, Halak had asked for a trade. When the 2016-17 season got underway, Halak’s feelings about the saga didn’t change. And they began to have an affect. Halak struggled early in the season and so did the team. Halak was called out by then head coach Jack Capuano in Novemeber, and by Decemeber things weren’t improving. After a bad showing in Minnesota, Halak was placed on waivers and sent to Bridgeport to re-discover his game. And that he did. He was the ultimate professional down there and had a 12-game winning streak. With Greiss struggling and J.F. Berube underperforming in late February and March, the notion for Halak to recalled was growing stronger by the day. 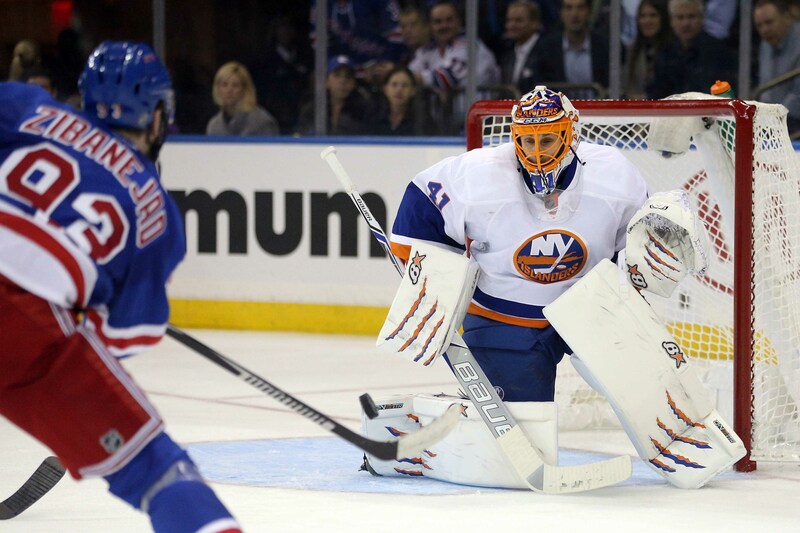 Halak was finally brought back at the end of March and ended the season on a 6-1-0 streak. The streak Halak ended the season on last year was a clear statement to the Isles coaching staff and management that he’s the clear number one goalie going into 2017-18. 2017-18 has the chance to be an exceptional year for Halak. There’s no doubt Halak will be looking to build off his performance from the end of last season. He will also not have to deal with the drama of a third goalie taking up another net in practice and possibly regular season games. He and Thomas Greiss have a chance to be that be the dynamic one-two punch that was the backbone of the Islanders’ success in 2015-16. Also, the talk of Halak being a bad presence in the locker room and not seeing eye-to-eye with the head coach will no longer have any credence. The contract year might also be a motivator for Jaro as he will have something to prove to not only his club, but other teams that might pursue him in the future. There’s also the playoffs. 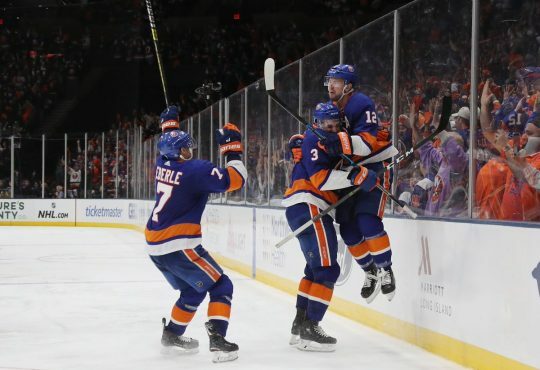 Earlier, I spoke of how Halak missed his chance to help the Isles win that playoff series in the 2016 postseason and how last year he almost single-handedly got the team in to the postseason. So, not only should Halak be motivated to get his team back to the playoffs, but he should want to be on top of his game when called upon. Jaro Halak’s time in New York has been nothing short of unique. There will be less drama for sure this year, and for Halak, that should result in a big season. Only good things will come for him and his team if that’s the case. 30 for 30: What can we expect from the new coaching staff? 30 for 30: Will the first line join the NHL’s Elite?